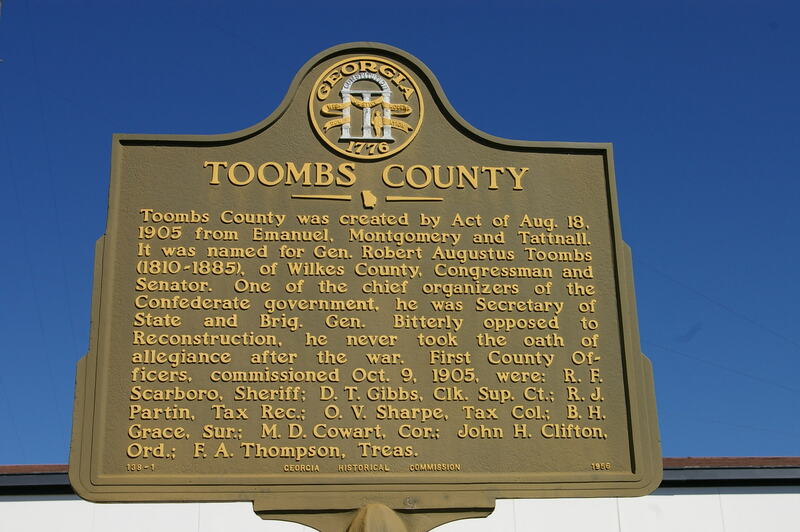 Toombs County is named for Robert Toombs, who was a famous politician, an unreconstructed secessionist, United States Representative and United tates Senator. 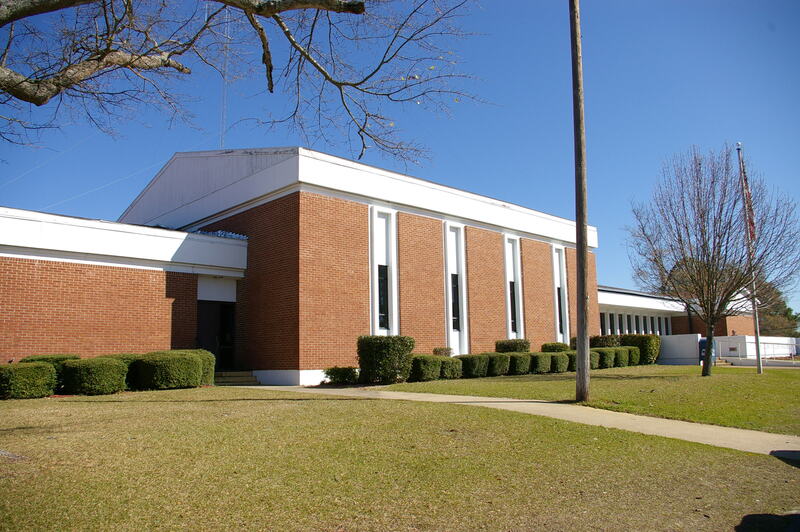 Architect: W P Thompson, Jr. 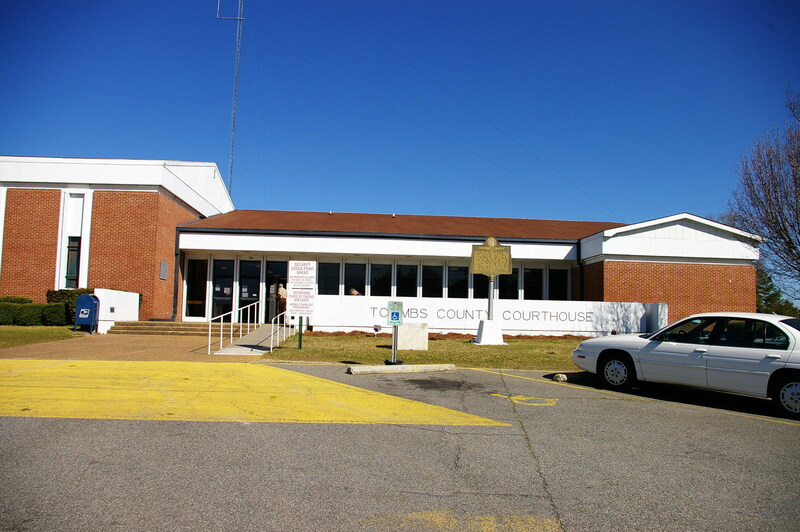 Description: The building faces south and is a one story red colored brick and concrete structure. 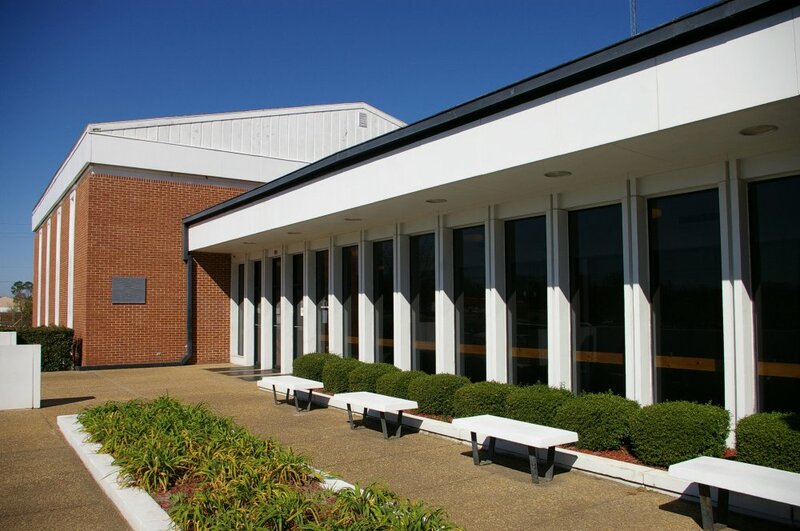 The building has a row of windows with vertical white dividers in the center section. On the west side is a higher section with long narrow windows. 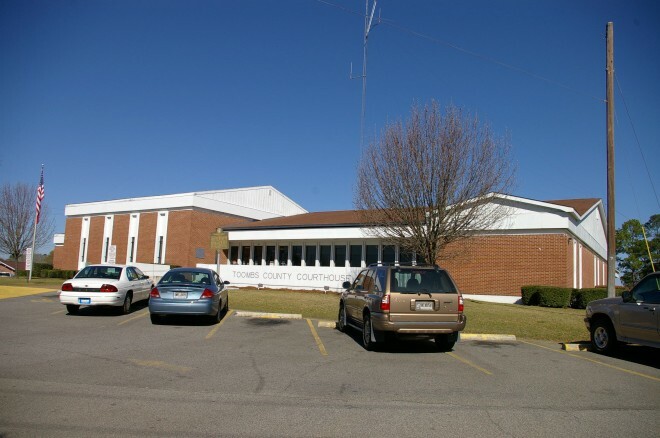 The building has a sloped roof. 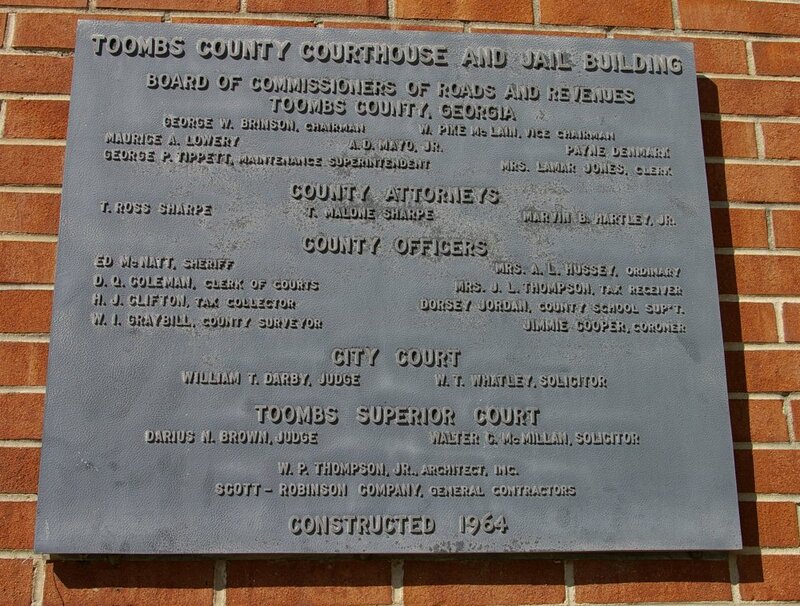 Note: The first courthouse was designed by George C Thomason and J W Golucke and built in 1906. The building was destroyed by fire in 1917 and was rebuilt in 1919. 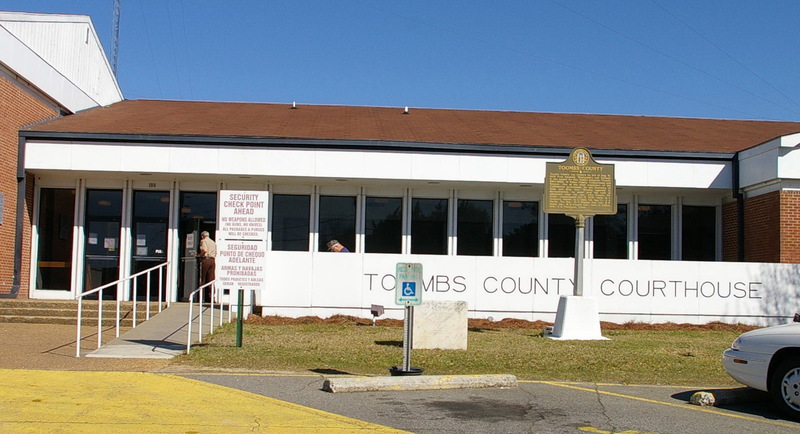 The architect was Alexander Blair and the contractor was Little & Phillips.